The Rugby League Players’ Association (RLPA) held its Annual General Meeting tonight at Sydney Olympic Park, rounding out a landmark 12-month period for the organisation. 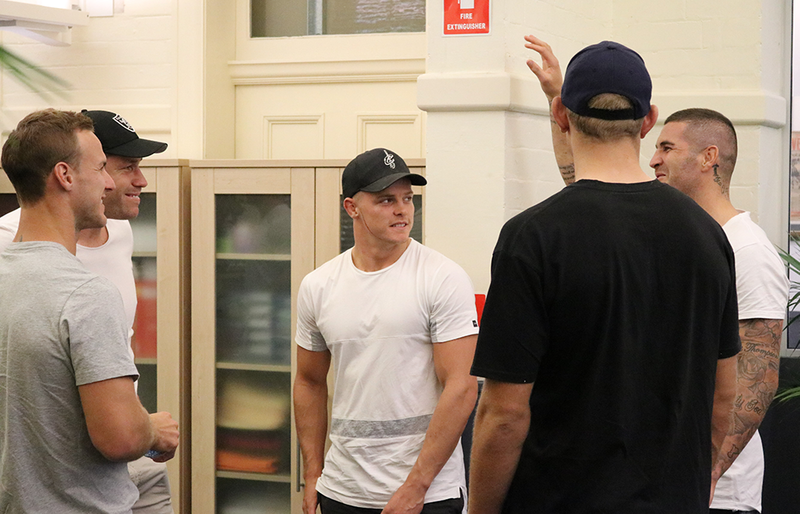 Many of the players that attended tonight’s meeting are part of the RLPA’s Delegate system, with members of that group playing an advocacy role on behalf of all players. Blair, Thompson, Vunakece and Mannah join existing Directors Russell Adams (Chairman), Deidre Anderson, Jeremy Latimore, James Maloney, Ian Prendergast (CEO and Managing Director), Nimesh Shah and Joseph Sponholz. 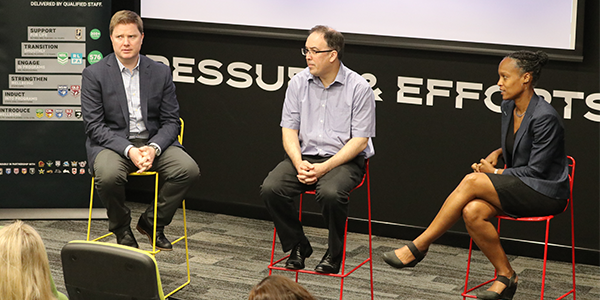 A professional development session followed the official AGM proceedings involving NRL CEO Todd Greenberg and Chief Commercial Officer Andrew Abdo, who briefed the group on the status of the game and the NRL’s strategic brand insights and beliefs. 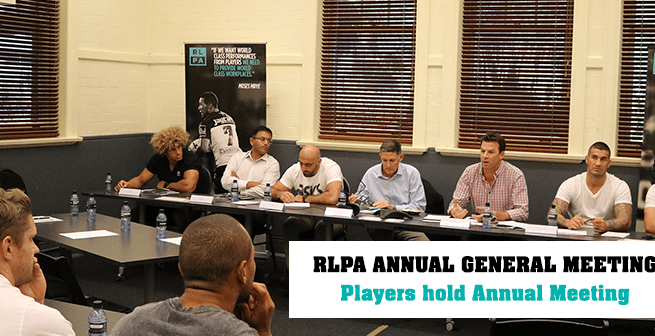 “The gathering of players for our AGM provided us with a great opportunity to speak with them about the important role of RLPA Delegates, and the obligations and opportunities that exist under the new partnership model,” Mr Prendergast said. 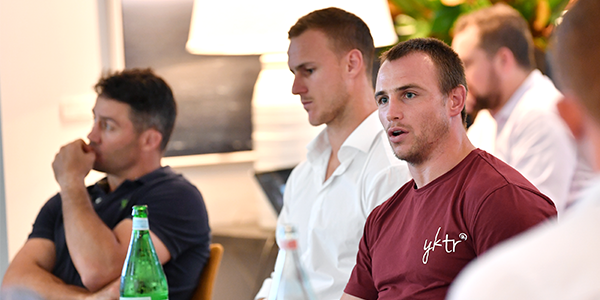 “I would like to thank Todd and Andrew for taking the time to present to the players on the NRL’s strategy and I think it highlights how both parties are committed to bringing this partnership model to life over the coming years. “The election of Joel, Adam and Eloni onto the Board of Directors is exciting for the Association and I’m looking forward to the role they will play as we look to continually elevate the standing of the RLPA in the industry in line with our strategic plan and duties under the new CBA. “I am also pleased that Tim will continue to provide his considerable experience and knowledge to the Board. 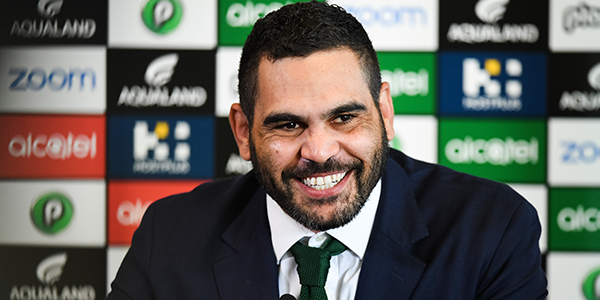 “The players are well-respected within the game and add great value in representing our membership, including players of Pasifika and Indigenous backgrounds. RLPA Chairman Russell Adams echoed Mr Prendergast in welcoming the new Directors. “It’s with great pleasure that we officially welcome Joel, Adam and Eloni to the Board of Directors tonight,” Mr Adams said. “For those who are unaware, Eloni and Adam joined the Board as casual vacancies in August last year and similarly Joel in February this year. “All three have already been involved in the direction of the Association in a short time and have now been formally elected by our members at the AGM. “Tim has been an outstanding servant and we are fortunate that he will continue to provide his services to the Board for a further term. 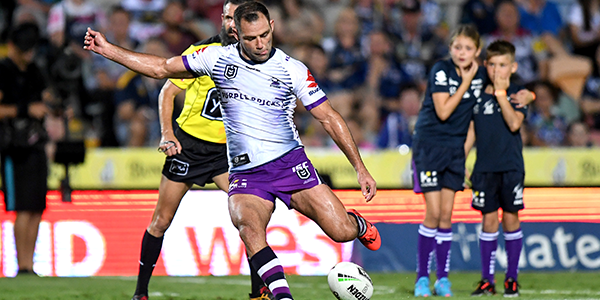 “With Cameron Smith stepping down from his role as a Director, I would like to thank him on behalf of the RLPA and our members for the extremely valuable role that he played during his time on the Board – particularly throughout the CBA negotiations. 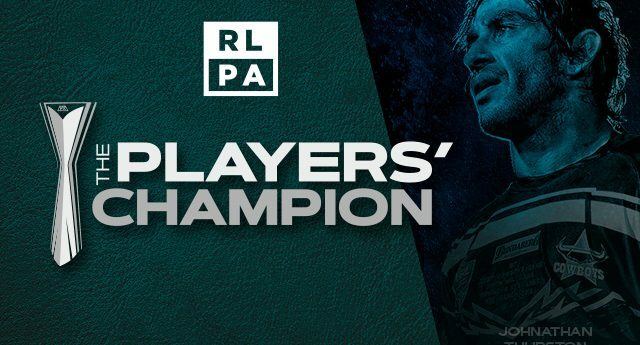 “Cameron will continue in the important role of RLPA General President, which will mean that he will remain involved at a Board level and be a figurehead for the Association. “I’d also like to take this opportunity to thank George Burgess, who in August last year resigned from his role as a Director. Outside of signing the new Collective Bargaining Agreement, the RLPA advanced various initiatives in 2017, including introducing the new Financial Education and Support Program, elevating The Players’ Champion through its first ever broadcast on 9GEM, strengthening stakeholder relationships within the industry and influencing change through the involvement in various committees and working groups.